Being an eminent manufacturer, exporter and supplier, we are offering premium quality Fiberglass Sheet. 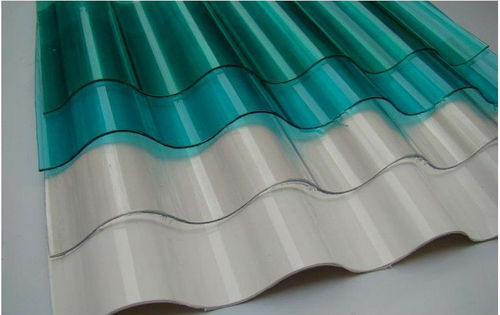 Easy to use with galvanized or industrial corrugated roof sheets, the offered Fiberglass sheets are provided in numerous specifications as per the need of customers. Our offered Fiberglass sheets are manufactured using superior quality material keeping in mind the market norms. These Fiberglass sheets are provided in various sizes, & checked before the delivery in order to assure its flawlessness. We, Fiber Tech Composite Private Limited began our operational work in the calendar year 2010 as manufacturer, exporter, trader and supplier of Fiber Reinforced Plastic Doors and Products. Our offered fiber products such as Industrial Tank and Vessels, Fiber Reinforced Plastic Glass Reinforced Plastic Pipes and Pultrusion Products are widely acclaimed by our clients, owing to the stronger and stiffer reinforced fiber and glass. We have always manufactured un-deformable, high strength composite plastic material, which can be used for strengthening of the wall, ceiling & corrugated panels and metal buildings. Our offered other fiber reinforced plastic products are also highly liked by the clients, due to the reinforced mechanical strength and elasticity in the raw matrix. Our vendor list Owen’s Corning- Vetrotex India Ltd., Zushi India Ltd., Ash Land India Pvt. Ltd., Crest Composite Pvt. Ltd., Machemco Industries and Reichhold India Ltd.